I bought a Knog Frog strobe just before Christmas to make me a bit more visible on winter rides and it’s worked perfectly. 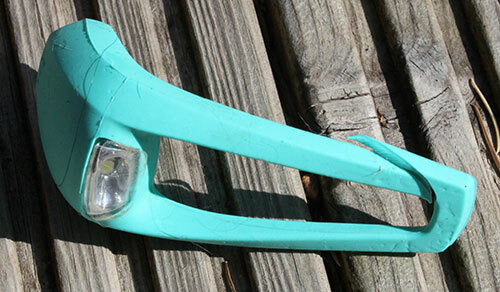 However, a couple of weeks back I moved the Bianchi and noticed that the band that wraps round the handlebars had snapped – and being an all-in-one design, this meant that the Knog wouldn’t stay in place anymore. To be fair to Knog, looking at the way the strap has broken, it would appear to have been an unlucky imperfection in the rubber moulding, so nothing to worry about in terms of broader product quality. 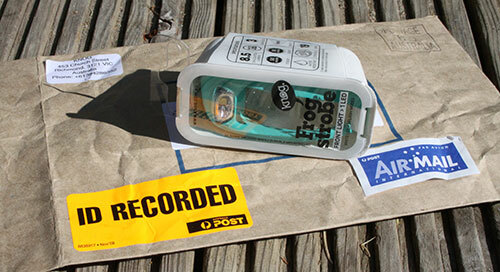 I bought the Knog from Bike UK in Bristol, which is a bit of a hike at best, so I contacted Knog direct to sort out a warranty claim. Fortunately I’d hung on to the receipt and once I’d sent a copy of this to Knog, they sorted out a replacement to be sent direct to my home… that’s all the more impressive, as the whole Knog operation is based in Australia and the new Frog arrived in an airmail envelope… AND they also made sure that the one sent out was the same ‘celeste-type’ green that matches the Bianchi… I was so impressed… Chapeau all the team at Knog. Next PostRoad ride or cyclocross race – Which is harder?